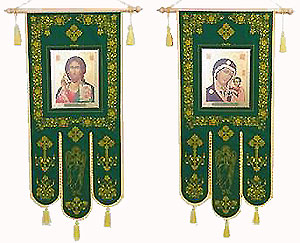 Traditional Orthodox gonfalon (processional church banners). Middle, woolen cloth, color print. Size: 21.3''x35.4'' (54x90 cm). A set of 2 items.